Automatically get campaign-level insights from Facebook Ads each hour. 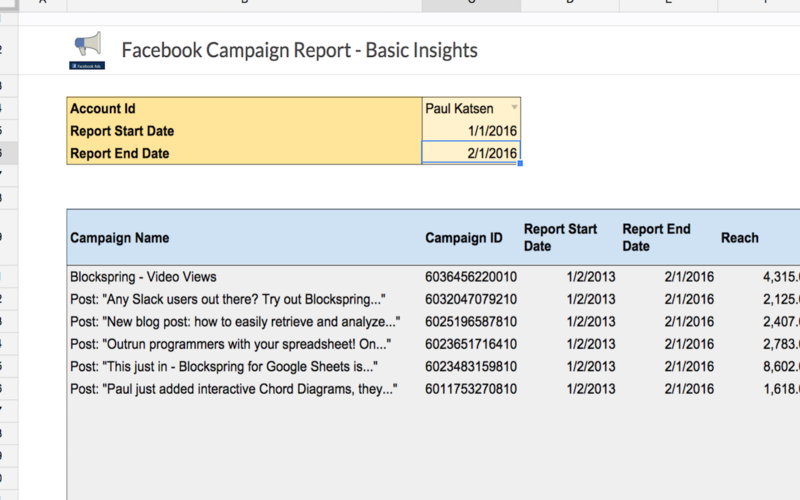 Retrieve basic insights for each of your campaigns within a date range. Blockspring fetches new data every hour.